Some are bound to talk foolishly of a curse. Others will spread their hands helplessly and speak of the inevitability of a family obsession. 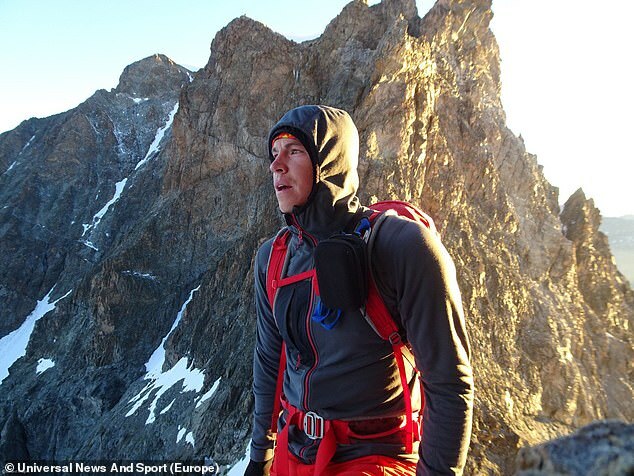 Yet the reality of the news that British climber Tom Ballard, 30, is missing on one of the world’s highest and most forbidding peaks — its grim nickname the ‘Killer Mountain’ — is the memory it triggers of an earlier tragedy, one which came against the background of a violent marriage. In 1995, Ballard’s mother Alison Hargreaves, then at the height of her fame as the first woman to conquer Everest unaided, died as she descended from the summit of K2, the world’s second highest mountain. She and six other climbers were swept to their deaths by 260mph winds. Her body lies to this day in an inaccessible snowfield. Of course, the disappearance of her son and his Italian-born climbing partner, Daniele Nardi, 42, may yet have a happier ending. Officially the two men are still listed as missing — yesterday a Pakistani army helicopter rescue team was reported to have spotted the climbers’ tent at their last known camp, 6,000ft below the 26,660ft summit of Nanga Parbat. But bad weather and the escalation in tensions between Pakistan and India have hampered the search operation. Sir Chris Bonington, Britain’s greatest living mountaineer, and a family friend, said last night that ‘one mustn’t write them off’. The lack of communication could be simply down to phone batteries failing in the extreme cold, he added. But the facts remain that the climbers have not made contact with their support team since Sunday and there are few more inhospitable and unpredictable places on earth than the Himalayas. So do two potential tragedies in the space of almost 25 years constitute a curse, or merely the cruellest of misfortunes? 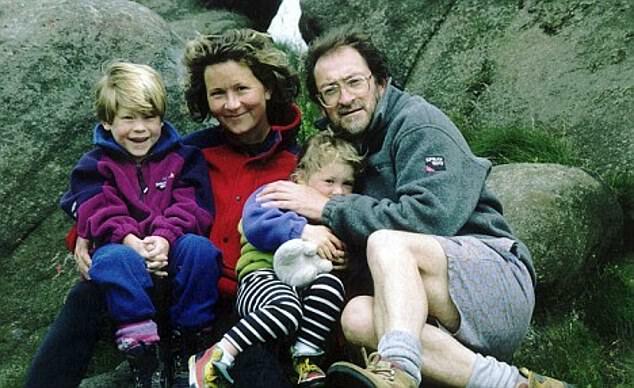 There is undoubtedly an invisible thread linking Alison’s own death to the disappearance of her son on the world’s ninth highest peak. He was just six when she died. She was 33 and while her death has naturally cast a shadow over his life, it has also fuelled his passion and love for mountains. Four years ago, he became the first person to climb solo all six of the great north faces in the Alps in one winter season, among them the treacherous Eiger. The achievement was one of the greatest feats in mountaineering history, demanding not just considerable skill and technique but also deep psychological strength. In 2010 he announced plans to make a solo attempt on K2, the mountain where his mother’s body lies. That was postponed but it was perhaps an indication of the haunting legacy of her death. 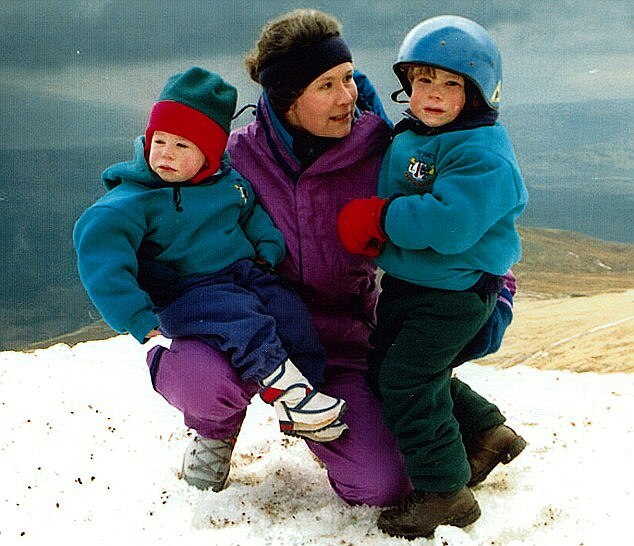 Throughout her climbing career criticism was often directed at Alison Hargreaves for selfishly putting her love for the mountains ahead of her responsibilities as a mother — Tom’s sister Kate was four at the time of Alison’s death. But the impact of Hargreaves’s death on Tom, and his sister became a matter of intense, and often unkind, fascination to millions after their father Jim Ballard took the pair to the glacier at the foot of K2 for a BBC documentary barely a month after her death. Then a biography revealed a darker story, alleging that Alison had been driven to seek fame in part by money worries after her husband’s climbing equipment business and shop struggled in the early 1990s recession — but also to escape from an abusive marriage. Alison was a 16-year-old schoolgirl when she met Ballard after taking a Saturday job in the climbing store he owned near her parents’ home in Belper, Derbyshire. He was married and almost twice her age, but they began an affair. A few months later his marriage was over and in 1980, on her 18th birthday, Alison moved in with him. To begin with the relationship was loving but Ballard later physically abused his 5ft 4in wife, the book claimed. Climbing became a way of escaping from domestic violence. From 1983 onwards, her personal journals record a series of assaults.